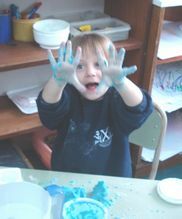 The “Bunnies” learnt to make their own dough! 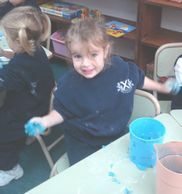 Last week we played with flour in the classroom, feeling its texture and stepping on it barefoot. Reusing can be lots of fun!